For each two searches on Google an equal amount of carbon dioxide is produced to that of a boiling kettle, according to research from Harvard University, a claim that Google has quickly refuted. A study by Dr Alex Wissner-Gross, as reported by The SundayTimes, has asserted that Google searches are not quite so environmentally friendly as you may have thought. 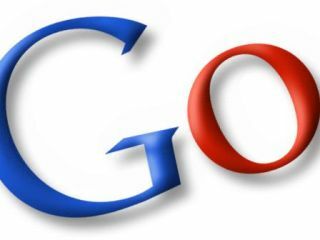 In fact, the average Google search is believed to produce around 7g of carbon – due to the power used by both the user's computer and the data centre and multiple servers used for each query. With Google the dominant internet search engine, and an estimated 200 million searches made a day, the impact is obviously fairly significant. "In terms of greenhouse gases, one Google search is equivalent to about 0.2 grams of CO2. The current EU standard for tailpipe emissions calls for 140 grams of CO2 per kilometre driven, but most cars don't reach that level yet. "Thus, the average car driven for one kilometre (0.6 miles for those of in the U.S.) produces as many greenhouse gases as a thousand Google searches." For those doubting Wissner-Gross' credentials, we should probably point out that he was apparently the last person in MIT history to receive a triple major, and, according to his biography, also performed as a boy soprano with the New York City Opera. Unfortunately we produced more than 27g of carbon dioxide in the construction and research of this article. Sorry.